We live in challenging times. From climate change to mass shootings, it’s easy to feel despair. 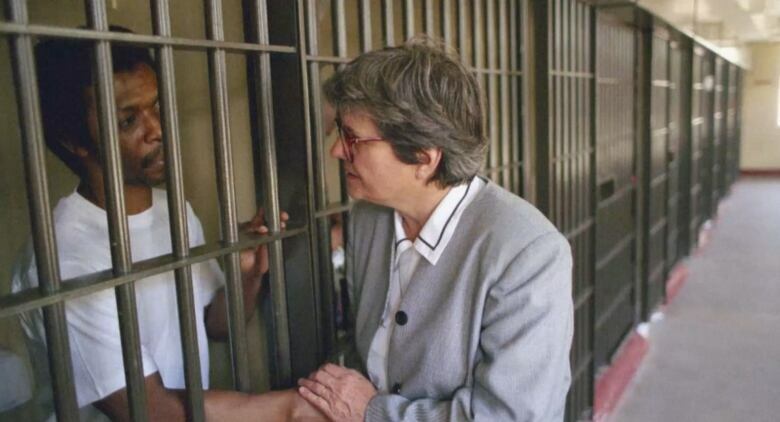 Sister Helen Prejean, a leading figure in the campaign to end the death penalty, is feeling it herself. And if you are too, Prejean has some advice for you. If you're feeling dispirited by recent events — be it forest fires or mass shootings — Sister Helen Prejean wants you to know you're not alone. She's feeling it, too. Prejean, who is the author of the bestselling book, Dead Man Walking, has seen a lot over the years. She's spent 25 years working on death row and campaigning to end the death penalty in the U.S. So if she's feeling beaten down, things must be tense. "I've kinda been, what shall I say, schooled in pain, in the accompanying six people to execution," Prejean told Tapestry host, Mary Hynes. "That's like the nadir." So Prejean teamed up with colleagues Rose Vines and Griffin Hardy and invited people to send her their questions and comments about how to stay strong in challenging times. Prejean is making audio recordings of her responses and posting them on her website. Prejean says there's a lot of pain out there. But staying strong requires reaching out to others. "You draw on that deep, deep part of your soul, which everybody has. Some people call it religion, some people call it God, some people call it deep soul strength," Prejean said. "We have different languages, but what makes it possible for that to happen, is when we connect in community, not when we're alone and isolated. Alone and isolated, we plummet." Prejean says reading plays an important role in this, too. "Reading is a sustained effort where we can get in new ideas and we can capture the spirit of other people who have struggled," she said. "You can have a cohesive conversation with your own soul." Reading also creates opportunities to consider new arguments and experience. That's why Prejean gives people copies of Dead Man Walking and asks them to read it. "The great thing about reading is you're quiet," said Prejean. "You're not talking. You're not debating. You're not saying, 'Yeah, but.' And you're also using your imagination. And I know in that book, I'm gonna take them to places they've never been." And then there's music, which Prejean said "brings us beyond that kind of literal part of ourselves, where we try to quantify what we're feeling exactly in words." When she's feeling down, Prejean turns to favourites like "Glory" by John Legend and Common from the movie, Selma. She's asking people to submit their own suggestions for songs that help them feel strong. Prejean and her colleagues are using the suggestions to build a playlist. They're calling it "The Justice Train Playlist" and it's available on Spotify and through Sister Helen's website. When all else fails, Prejean says investing in something meaningful — beyond yourself — can help lift the darkness. "To wake up to something really big and then to devote yourself to it and to keep learning about it, that's light," said Prejean. "Something in us expands, and opens, and, I don't know. I work on death row and I don't know that I've ever felt more alive." 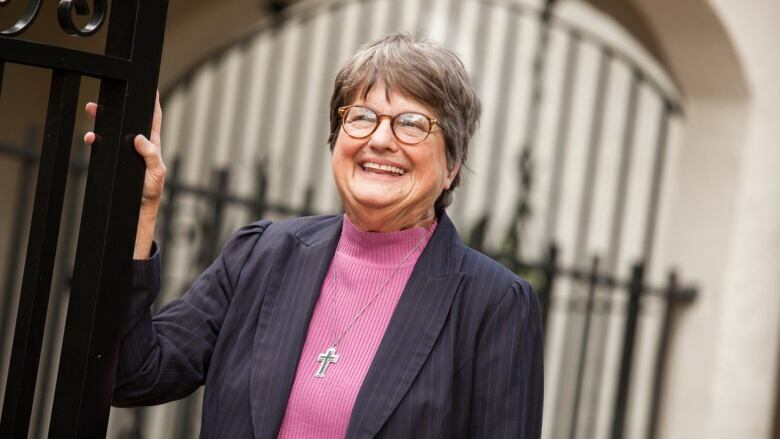 Click LISTEN above to hear Sister Helen Prejean discuss the sexual abuse controversy gripping the Catholic Church. Tapestry featured selections from the Justice Train playlist on the original broadcast and podcast version of our episode with Sister Helen. We're starting our own playlist, featuring Canadian songs to keep you going when you're feeling beaten down. Consider it a Tapestry Soundtrack for the Soul. Our selection was "Stronger Than That" by Bahamas — what's yours? FULL EPISODE: How are you doing ... really?